Join Classic Freight Transport Today! Classic Freight Transport's corporate office is located in Burnside, Dartmouth, Nova Scotia and has been in operation for over 10 years. Specializing in flatdeck, container and warehousing, our team of motivated customer-centric employees delivers exceptional service with every move. Our drivers are true professionals and in turn we focus on driver development through educational seminars and creating new standards in safety. Through the use of current technology, including satellite tracking, Classic Freight Transport is well positioned for the future. 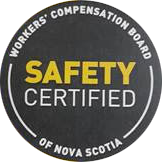 Our competitive compensation and extensive benefits plans coupled with equal opportunity practices has resulted in Classic Freight Transport to gain “Employer of Choice” status in Atlantic Canada for the past number of years. Equal Opportunity Employers. Employer of Choice. Start your career with Classic Freight Transport Ltd.